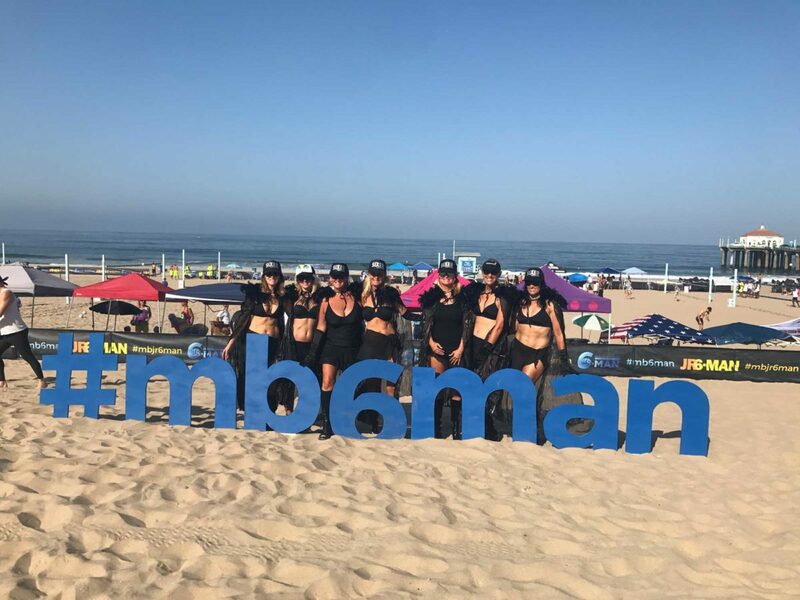 The famously competitive, high-spirited Charlie Saikley 6-Man Beach Volleyball Tournament returned to Manhattan Beach this weekend for its 57th year. Nearly 100 teams competed in four divisions: Men’s Open, Women’s Open, Men’s Master’s, and Women’s Master’s. From Friday morning at 8 a.m. until Saturday evening, the beach near the Manhattan pier looked like one huge party. Returning players said the team spirit and camaraderie at the Six-Man is unlike any other tournament. Teams ranging competed costumes that included furry tails, Santa hats, and neckties. For decades, the tournament took place on Saturday and Sunday, but huge crowds — by some estimates, as many as 70,000 people — began creating public safety challenges and complaints from residents. The City Council ordered the tournament shifted to the middle of the week for several years, which devotees said nearly killed it. Last year, the council approved the Friday-Saturday schedule, which appears to have resulted in a happy balance between good times and civility. In the finals, Team Spyder, last year’s runner-up, dropped the first game to Lyon Stahl, 15-12, but won the doubles final 11-7 for the title. Other top finishers: Women’s Open — 1. Serve on 2nd. 2. Soho Yoga; Women’s 35-plus — 1. Crafty Vets, 2. Venice Bakery; Men’s 40-plus: WWF (The Wrestlers, 2. Fonz Century Club; Men’s 50-plus — 1. Raymond Construction, 2. Goodstuff. 2018 Charlie Saikley 6-Man Volleyball Results 6-Man Men’s Open 1. Spyder Res-Ispa 2. Lyon Stahl Women’s Open 1. Serve on 2nd 2. Soho Yoga Women’s +35 Masters 1. Crafty Vets 2. Venice Bakery Men’s 40+ Masters 1. WWF (The Wrestlers) 2. Fonz’s Century Club Men’s 50+ Masters 1. Raymond Construction 2. Goodstuff.